Long Beach, California – December 27, 2016. Key Housing, one of the top corporate housing services in Long Beach, California, is proud to announce a post concerning the value-add of extended stay apartments. Contracted employees or executives flying in to conduct business in Long Beach and nearby Southern California communities can cost companies thousands in hotel stays and miscellaneous expenses. Corporate housing can provide contracted employees with a fully-furnished apartment to help lower daily expenses and provide a more “at home” feel to their stay in the city. Accordingly, the company has updated its listings for Long Beach, just in time for the post-Holiday rush as businesses seek out hard-to-find rentals in Los Angeles county. Interested parties can review the updated page of Long Beach rentals. Information about furnished short-term apartments and studio rentals for Long Beach and the surrounding area can be found. 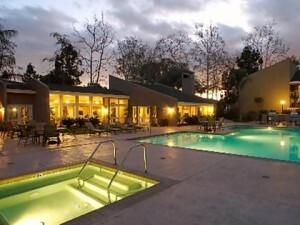 Many extended stay properties may include gourmet kitchens, gyms, outdoor barbecue, pools and concierge services. In addition, those interested in fun things to do and local attractions can visit the updated blog listings at http://blog.keyhousing.com/tag/long-beach-corporate-housing/. Keeping company expenses in the black can be a top priority for a company CEO. Services offering extra benefits at a reasonable cost may be known as a “value-add” to corporate leaders. If part of a business model includes housing temporary employees, value-add solutions can be the key goal. Extended-stay hotels may seem like a smart idea, until the extra expenses begin to arrive. Daily charges such as laundry, parking fees and restaurant expenses can add up quickly. An employee could be spending more than what is normally spent at home. Long Beach corporate housing could be the cost-effective solution extended stay employees need. Key Housing, a corporate housing service for Southern and Northern California locations, has just updated its Long Beach information in time for 2017. Extended stay apartments for temporary employees can offer cost-saving amenities that add up over time. A fully-functioning kitchen may encourage employees to stay in and cook rather than dine out. Easy access to laundry and gym facilities could also help cut down transportation and parking fees. Small daily expenses can add up to become budget-busting issues. Furnished apartments with full kitchens and other on-site conveniences can bring a great value-add to temporary corporate housing. This entry was posted in Press Releases and tagged Long Beach, Long Beach Corporate Housing, Long Beach Corporate Rentals on December 27, 2016 by Lee McDonald.